June 2018, Seattle, WA—Celebrity styling agent turned freelance business coach Crystal Wright announces the launch of the revised and fully updated seventh edition of her popular industry bible, The Hair Makeup & Fashion Styling Career Guide. Filled with meaningful career enhancing advice, step-by-step instructions, rare insights, and insider secrets, the ‘Guide’ helps aspiring makeup, hair and fashion stylists turn their talent and passion into a successful and profitable freelance business. Throughout the book, Crystal’s advice is bolstered by interviews with celebrity stylists, commercial producers, magazine editors and photographers. The reader builds business confidence by learning how to prepare and present themselves to clients, locate job opportunities and establish their day rate. Crystal shares how to formulate attention-grabbing marketing materials, collaborate with photographers and how to curate social media to attract decision-makers. She provides expert advice on what steps should be taken to get into the makeup and hair union, and how to get signed by an agent. As a successful celebrity styling agent and business coach, Crystal was instrumental in launching the careers of many successful artists. That knowledge has been distilled and exported into the pages of the ‘Career Guide’. 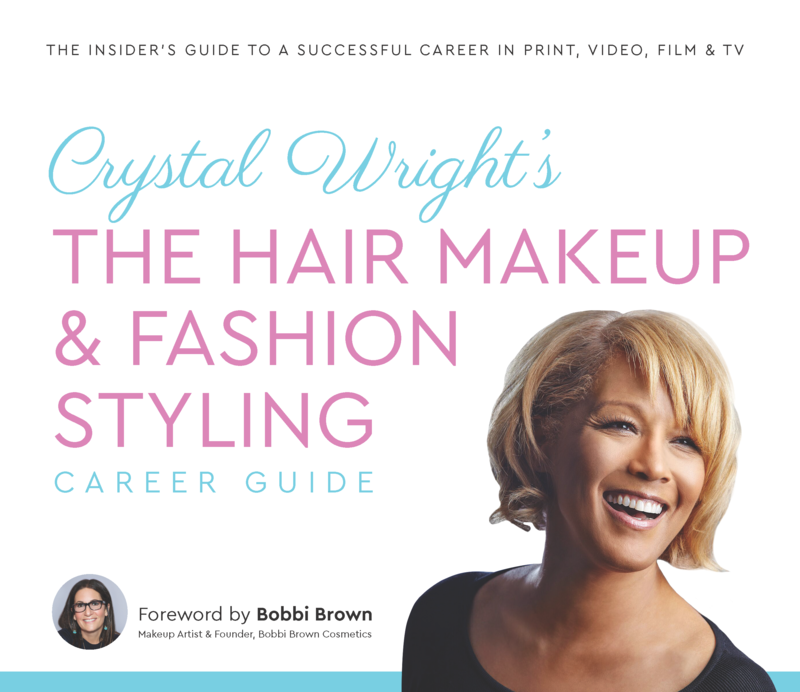 Crystal Wright’s The Hair Makeup & Fashion Styling Career Guide is available in print and as an eBook on Amazon and iTunes. Crystal Wright is an entrepreneur, freelance business coach and author. She represented celebrity stylists in Los Angeles and New York for over 25 years. She passionately shares her entrepreneurial wisdom with any artist who wants to freelance in beauty, fashion and entertainment. As President of Crystal Agency, she guided the careers of many makeup, hair, fashion stylists, manicurists and photographers to celebrity status and secured lucrative advertising, commercial and TV contracts for them. The Hair Makeup & Fashion Styling Career Guide has been adopted for beauty and certificate programs at Makeup Designory, Empire Beauty School, EI Professional Makeup School and most recently, the FIT Beauty Industry Essentials Program.